1. File your claim on time: It is absolutely necessary to submit your claim on time. You should intimate the insurance company immediately or as early as possible after the mishap. Any delay in filing claim for damages can result in rejection of your claim. Also, do not get the car repaired before filing your claim. 2. Default in payment of premium: If you have defaulted in payment of insurance premium within the stipulated time, your insurance policy will lapse and then you will not be able to claim any damages caused due to accident. 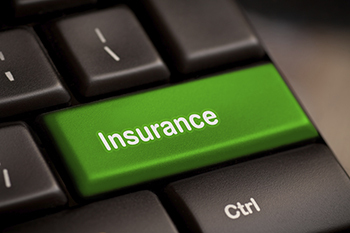 So, pay your insurance premium on time to avail the insurance cover. 3. Expired driving licence: If your driving licence had expired when you were driving your car and met with an accident, your claim is bound to be rejected. A valid driving licence is one of the key documents you have to submit to claim the cost of damages, so have to note the date of expiry of your driving licence and renew it on time. 4. Change of usage: If you have bought the car for personal use but have been using it for business purpose, the insurance company will reject your claim on the ground of change in usage. So while buying a policy, you have to decide the purpose for which the vehicle is to be used and use it for that purpose only. 5. Negligence: If the damage to your car is due to your own negligence or that of your driver’s negligence, the insurer may reject your claim. Such negligence could be due to driving under the influence of alcohol or drugs, etc. 6. Uninsured drivers: When you buy a vehicle insurance policy, you have to specify the names of the persons who will drive the vehicle. You can claim damages if the vehicle meets with an accident when any of these drivers were driving the vehicle at the time of the accident. If any of your relative or friend who are not covered under the insurance policy were driving the vehicle at the time of the accident, your insurance claim will be rejected.